The southern state of Mississippi is home to a wide variety of spiders of all shapes and sizes, many of which are specific to the region and rarely observed elsewhere. Many of these spiders have unique coloring and markings that can help you identify them. Spiders can be found in a variety of different habitats throughout Mississippi, including grassy fields, houses, and gardens. 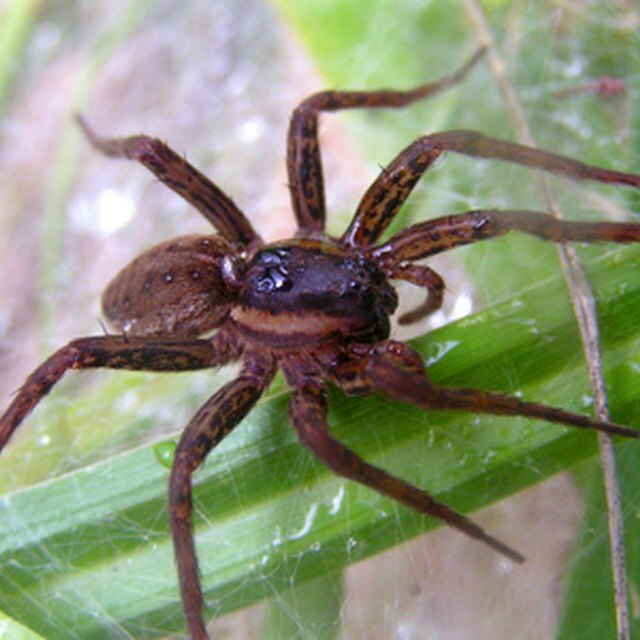 In the U.S., the huntsman spider inhabits a small southern region that includes Mississippi, Alabama, and Georgia. Occasionally they are found in other states as stowaways on produce shipped from Central America. The huntsman is part of a group of spiders that have a crab-like appearance and behave similarly in movement to that animal. The huntsman spider hunts at night, often consuming cockroaches and other insects that inhabit tree bark, houses, and barns. This odd-looking spider is common across the southern United States, including Mississippi. Spiny-backed orb weavers are tiny--males are 1/8 inch and females 3/8 inch--but if you look closely you'll notice the spiky abdomen with two sharp points on each side and two on the rear. Typical spiny-backed orb weavers have reddish spikes and a pale abdomen dotted with black or dark red ovals. These spiders mainly inhabit gardens, shrubbery and woodland edges. This tiny spider common in Mississippi inhabits the southern United States and parts of Mexico. 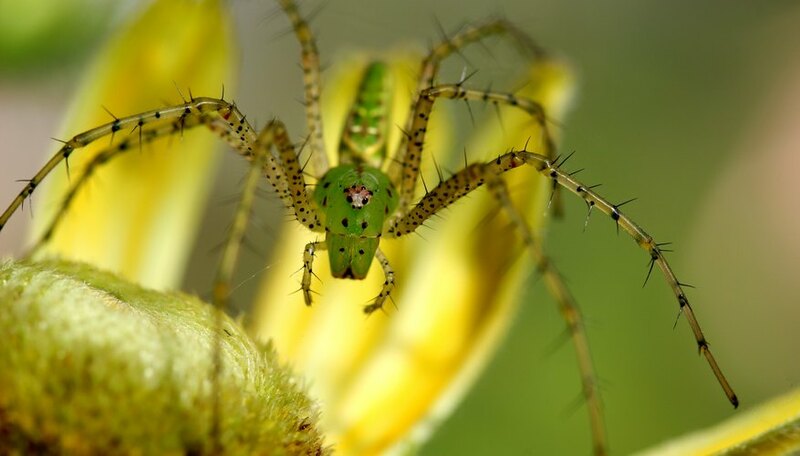 You can identify the green lynx spider by its striking leafy green abdomen and colorful legs that alternate between orange and grey with black spots. Full-grown female green lynx spiders are about 1/2 inch long, though the male is a bit smaller. Green lynx spiders inhabit open fields, especially those with tall grasses, which the female will use to attach her egg sac. Also known as the banana spider, the golden silk orb weaver is found mostly in the swamps and shady woodlands of Mississippi. Its banana-shaped abdomen is usually brown, while its legs are orange, yellow and black with small tufts of hair at the joints. Although males are quite small, growing to only about 1/4 inch, females are significantly larger, sometimes reaching 3 inches in length. Higgins, Charlie. "Common Mississippi Spiders." Sciencing, https://sciencing.com/common-spiders-mississippi-6332020.html. 13 March 2018.